There are two immediately troubling issues with Governor Cuomo’s comments. The first is that he defines people acting in accord with the tenets of his own Church as extremist and unwelcome in the state. That is a declaration of war on religion by the governor. 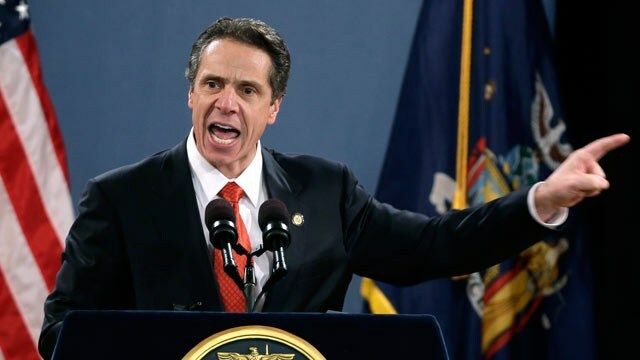 This incendiary rhetoric is meant to turn New Yorkers against one another, breeding into the political bone marrow a strain of hatred and intolerance that will take generations to purge. The second follows on the first. Such rhetoric, aimed at the consolidation of political power by stigmatizing people of faith as the source of society’s woes, is reminiscent of the tactics and rhetoric in Germany during the 1930?s and 40?s. Lest we forget, a people of faith were ridiculed and demonized, and driven from their homeland all in an attempt to scapegoat them for society’s woes. We know how that story ended, and we are fools to think that we are immune from a similar ending here. The truth of the matter is that abortion hurts women badly, and there is an abundance of scientific and medical literature that chronicles the harm. But facts don’t matter to bloated political hacks who trample the rights of man underfoot. In truth, the governor and his party have become a grotesque caricature of a party that was once filled with noble men and women for whom words like “tolerance” and “inclusivity” were the means by which the cry of “Never again!” could become reality in the wake of the Holocaust. We have a governor who looks at the many peaceful, prayerful marches for life and sees lepers, while abortionists who maim and kill women and men clad in pink underwear or only thongs and Indian headdresses marching in the Gay Pride parades are citizens of the first order. That is the duty of every public servant, and not a luxury for the Governor and his pals. The “extremists,” whom he despises have the same moral obligation of conscience as Cuomo, and our Founders established an Assembly and a Senate where the great issues of the day are to be debated, where deals can be made, and where final legislation is referred to the Governor for approval or veto. It would seem that Cuomo has grown impatient with that system and has moved to inciting hatred and fomenting violence in its nascent stage: stigmatizing the opposition. This is a very deadly serious turn that has been taken in Albany. If the liberals in the legislature have any integrity at all, they will vote to censure this dangerous demagogue. If they really espouse tolerance, inclusivity, and patriotism, they’ll take a walk over to the Governor’s mansion and tell Cuomo that it’s time for him to go. Real New Yorkers can take the heat of debate and opposition.